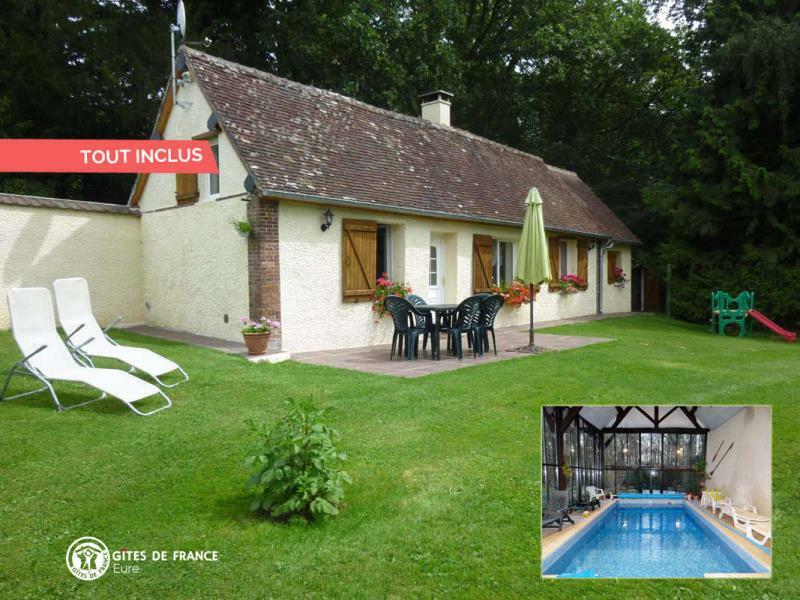 Rural cottage for 2 at the edge of a forest, with covered heated pool, 20mim from Dreux where many Historic Monuments await you ! Nature lovers and birdsong fans, the "petite fougère" will charm you ! At the edge of the forest, on a hiking trail, this very comfortable small cottage has lots of charm : pretty decoration mixing countryside spirit, old beams and modern facilities. Another advantage, the covered and heated swimming-pool for a delightful moment of relaxation ! A 700m² garden.